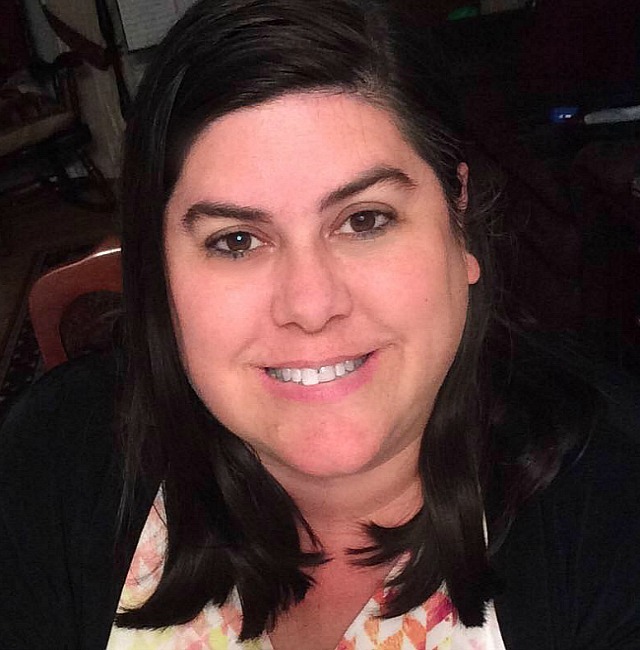 Have you ever heard of black glue crafts? 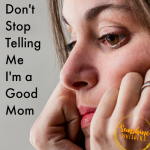 I hadn’t until earlier this year and I have to tell you– I am so hooked! 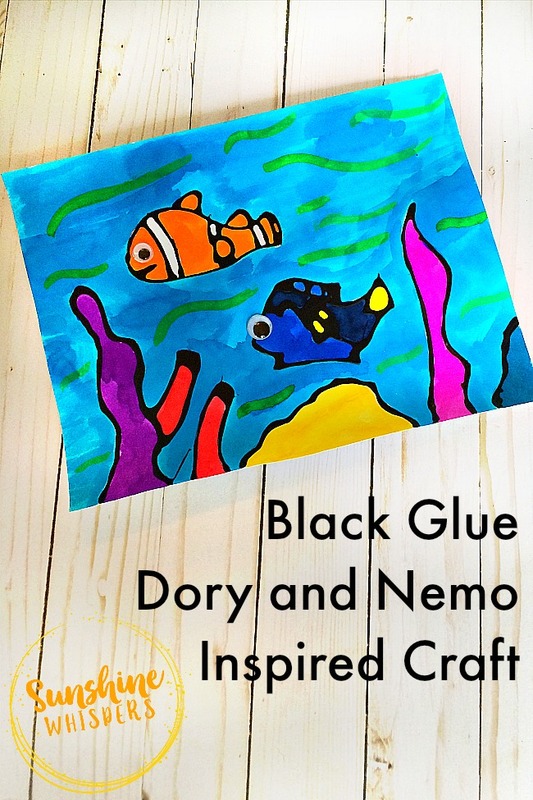 Today I am super excited to share this black glue Dory and Nemo inspired craft for Kids. The black glue is super easy to use and I used liquid watercolors to really make the colors pop. This was my first time to try a black glue craft but I had so much fun creating this cute craft that I made a few more designs right away! Print a copy of the craft template (see end of post for how to snag the FREE template for this craft). You can either print the craft template as a single sheet of paper (I would recommend printing it onto white cardstock). 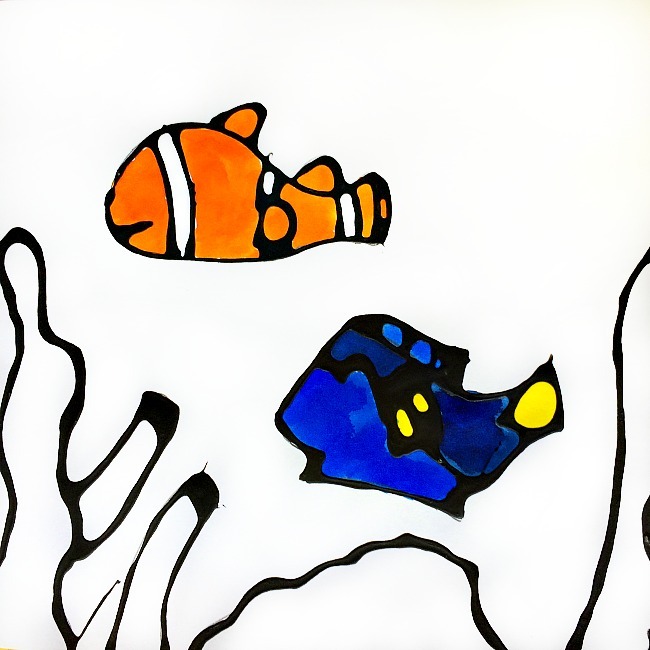 Or, you can print the template out on a regular sheet of white paper and then cut out Nemo and Dory. 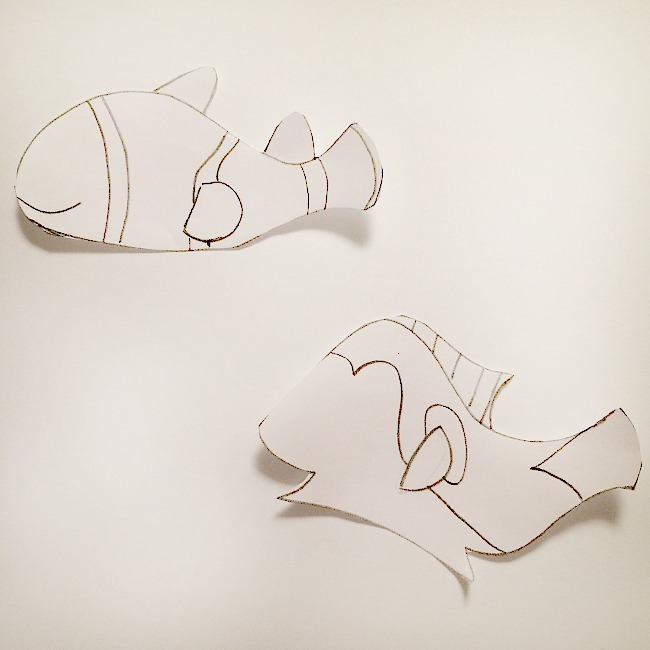 If needed, trace Nemo and Dory onto the white cardstock. 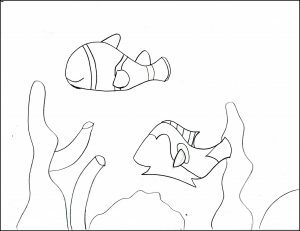 Draw in the details of Dory and Nemo and then draw various shapes and sizes of coral. The coral is really very free hand… so get creative! 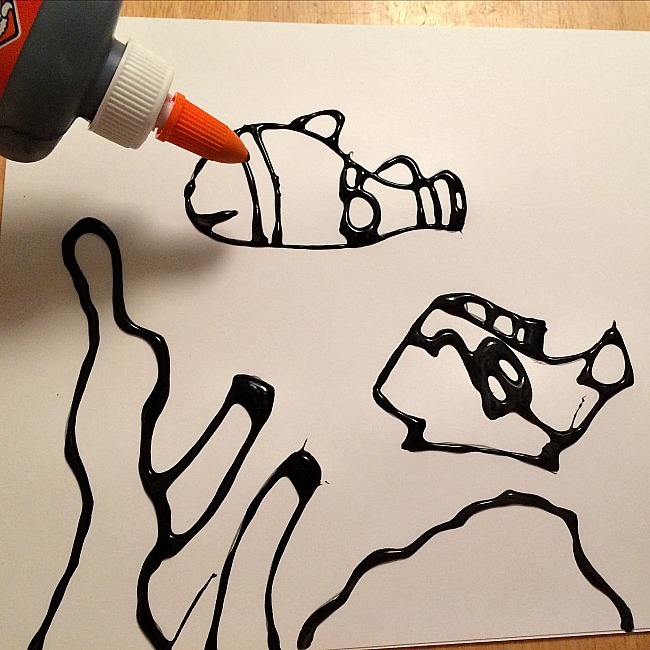 With a steady hand, trace the underwater scene with the black glue. Don’t worry if the glue is runny or if it pools and obscures some of the drawing details. That is part of the charm of doing black glue crafts. If it is important to you to not have the glue run too much though, use a glue applicator with a finer point nose. Once the black glue is completely dry, you are ready to paint. 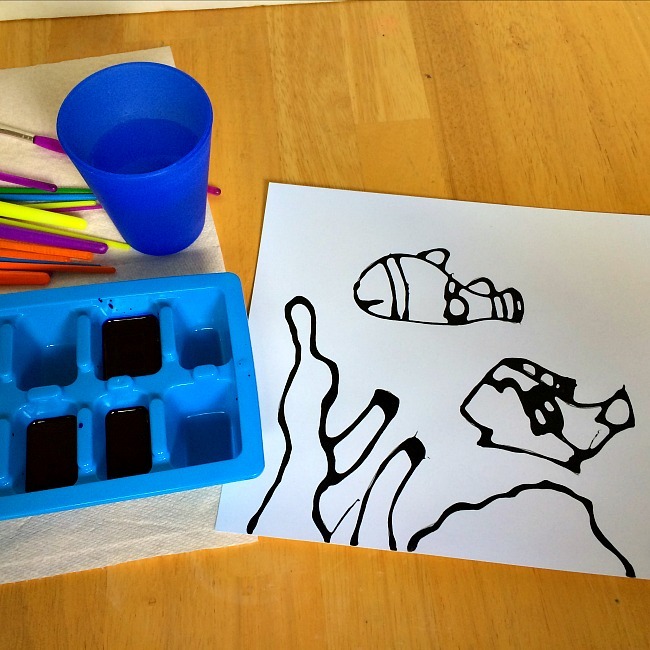 I used a dollar store ice cube tray as a palette to squirt liquid watercolors into. 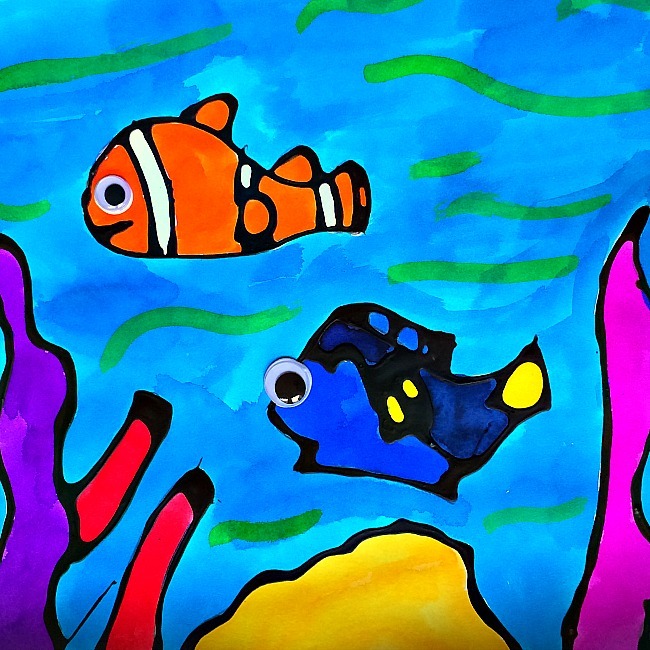 Most of the colors are obvious, but you will need to mix a few colors for Dory’s coloring. Dory has a regular blue part of her body and a darker blue part of her body. Just squirt a little (not too much) black liquid watercolors into some blue liquid watercolor to get this darker shade. Don’t overdo the liquid watercolors. It won’t take much watercolor paint to finish your painting. Paint Nemo and Dory, followed by the coral. Next paint the water. I used turquoise for the water, regular blue for the bottom part of Dory, and the darker shade of blue for the top part of Dory. After painting the water, use the green liquid watercolor to add a wave effect. The painting will dry almost immediately. Pick out a medium size and smaller sized googly eye and glue them on Nemo and Dory’s face. 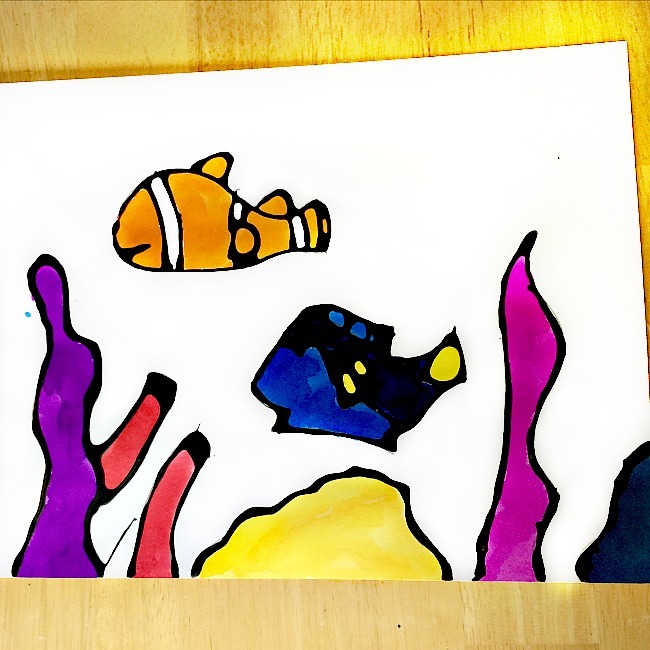 Don’t forget to snag your FREE Dory and Nemo Inspired Craft Template here! 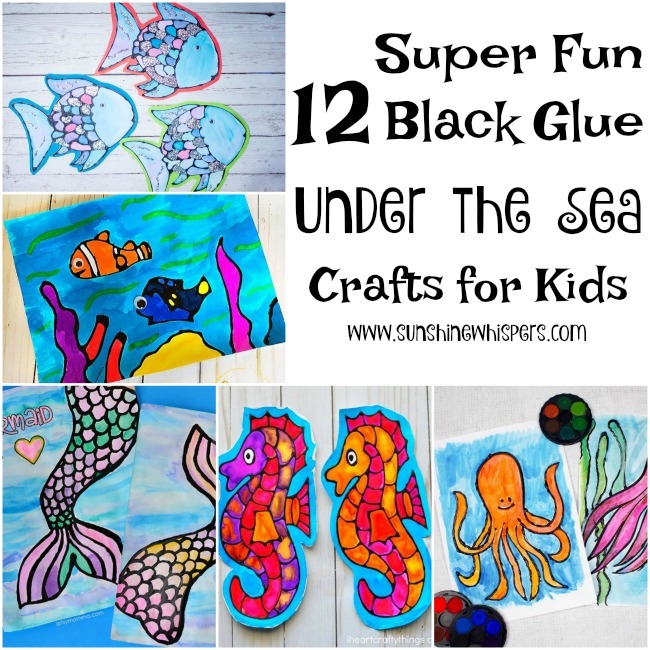 Black Glue crafts are so much fun! If you like this, check out some other ocean-inspired black glue crafts. 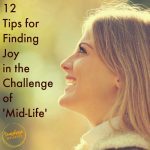 I have teamed with a bunch of amazing craft bloggers to give you lots of fun ideas. 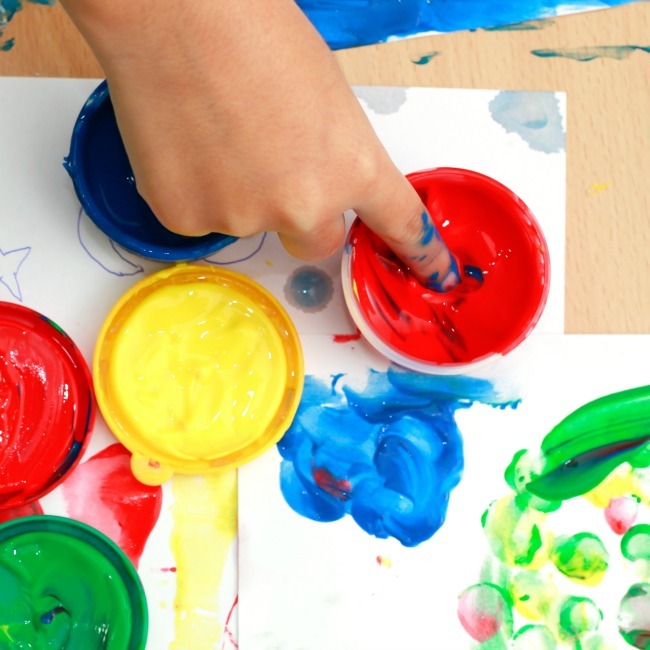 Click on this photo to be amazed at how cute and fun their crafts are too!